Cheap may come at a cost. Especially cheap dog food. A lot of manufacturers may put in all kinds of junk to it! Preservatives, artificial flavors, low-quality ingredients — all of which could lead to serious health issues down the line. That being said, expensive dog food is not automatically better. It is not the price that makes something have a higher quality, but what the product is actually made out of. Reading the label is how you can figure out what the best dog food is for the money. 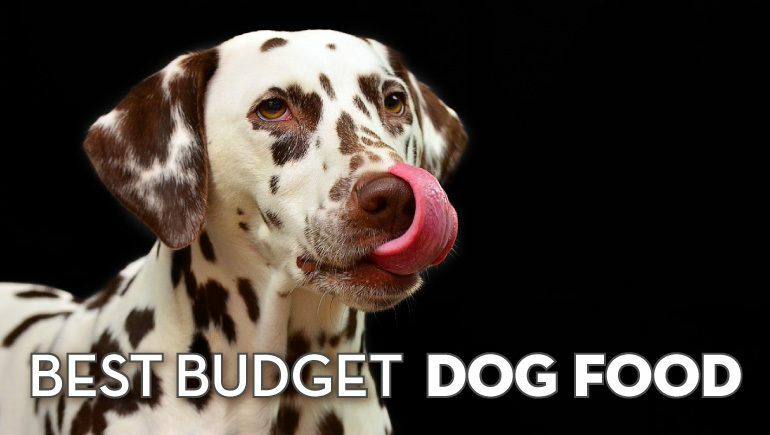 The best budget dog food can be good for your dog, and might be better than pricey ones. Here's our take on best cheap dog food, for when you’re on a budget, but still want to give your dog a healthy diet. Is it Possible to Find Good Cheap Dog Food? As a pet owner, you should also check the ingredients to see what kind of balance the food you are giving your dog provides. Are there real veggies, fruits, and herbs? These foods can be excellent sources of natural vitamins and minerals to help balance your dog’s diet and maintain their overall health. Look for a nutritional advocacy statement from AAFCO on the dog food bag. This ensures that the dog food meets AAFCO standards for nutrients. Does the brand market itself as holistic or organic? Check the label ingredients to see if they match up to the claims. Look for fillers, like potatoes, soy protein, and corn, in place of more nutrient-rich ingredients like real meat and organs. Iams is one of the most-recommended dog foods by veterinarians due to their high-quality dog food recipe. Many of its formulas can also fit within a tight budget, so it’s also one of the most popular brands by owners. The Iams ProActive Health Adult formula is an excellent choice for dogs over a year old. It helps build strong, firm muscles and nourishes the heart with it's seven essential nutrients. The ProActive Health Adult formula promotes healthy digestion with prebiotics that work in the digestive tract. Chicken is the number one ingredient in this dry dog food, so you’ll be feeding your dog a quality protein for optimal dog health. However, it does claim to be filler-free, but contains cornmeal and ground whole grain sorghum. These are both used in place of more high-quality proteins in dog food. So, it is not a grain-free dog food. 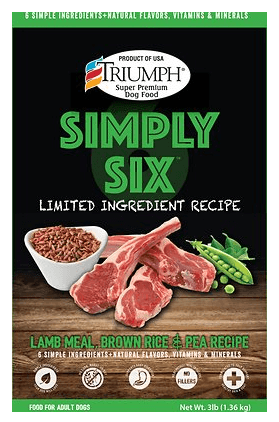 Triumph Simply Six focuses on having only 6 main ingredients in its food. Not only does this make it cheaper, but it also makes it better for your dog! Some owners search specifically for limited ingredient dog food because there’s less room for fillers, animal by-product and artificial ingredients. And, there is less chance of food allergies when only real ingredients, and no fillers, are used. The 6 main ingredients include real meat, brown rice, peas, oatmeal, animal fat, and dried beet pulp with sugar removed. This is the ideal food if your dog is food-sensitive. Awesome, right? This formula is very budget-friendly but also provides a healthy, balanced meal perfect for dogs with food sensitivities. The lamb meal used in the formula makes it easy to digest and it full of key nutrients! Purina is one of the most well-known dog brands. Its Beneful varieties are great choices for dog food owners on a budget. Purina Beneful makes sure your dog’s nutrient needs are met with its nutrient profile. It also adds in 23 essential vitamins and minerals to support your dog’s overall health. 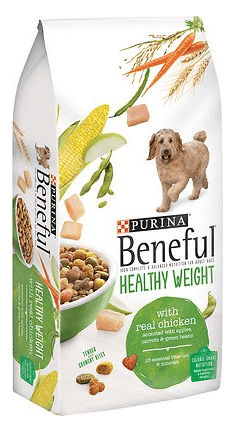 Chicken is the number one ingredient listed on the Purina Beneful Healthy Weight formula. It does also contain meat by-product, corn, and soybean hulls as fillers. This dog food gives your dog the taste and flavor of Purina Beneful Originals, but has 10% fewer calories so they maintain a healthy weight. The complete and balanced nutrition delivers the protein needed to maintain lean muscles. However, I’m pleased with real meat being the main ingredient; this is the most important thing to look for. Plus, its vitamins and minerals go above and beyond what you’d expect from a cheaper dog food brand. 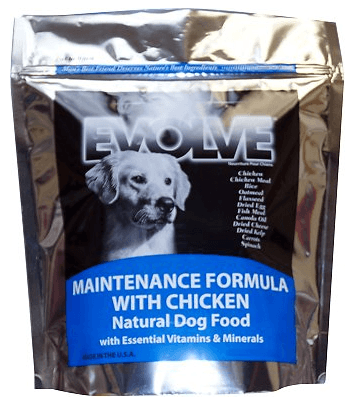 Evolve Maintenance Formula for dogs is a nutrient-rich food with plenty of offerings for a healthy dog diet on a budget. Evolve’s main focus is providing tons of important carbs, proteins, vitamins, and minerals with no artificial ingredients, fillers, or by-products. Chicken, chicken meal, and brown rice are the first three ingredients. This has a great protein source with an excellent fiber and carbohydrate source to form a premium dog food. There’s also peas, carrots, celery, beets, parsley, and more for natural sources of vitamins and minerals. Happy customers claim that this food improved their dog’s overall health, skin, and coat. 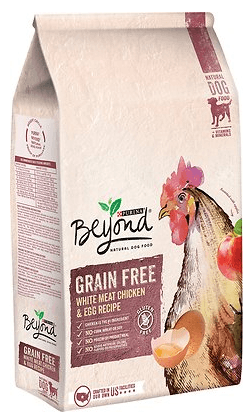 Another Purina brand, Purina Beyond Grain-Free recipes focus carefully selected ingredients for an optimal diet. This dog food is a little more expensive than the others I listed, but still definitely fits in with a tighter budget. I really like this premium dog food as a cheaper, grain free option. Most grain-free dog food brands are hiked up in price simply because they’re grain-free. Purina Beyond keeps Grain Free at a reasonable cost for the average dog owner. Plus, it has real meat for the first ingredient, no artificial stuff, and added vitamins and minerals. Pea starch and cassava root provide essential carb content for improved energy and beet pulp provides natural fiber for digestion. Overall, this is an excellent choice for a cheaper dog food. In conclusion, these dog foods may be on the cheaper end of dog food brands, but they still deliver. In terms of health and balanced dog diet, you can’t quite beat these dog food brands for the price. They’re packed with the vitamins, minerals, and nutrients your dog needs to thrive, while containing real, healthy ingredients. Some cheaper dog foods make their food so cheap because they’re packed with fillers instead of quality ingredients. These choices for cheaper dog foods, however, include mostly quality ingredients that edge out their lower-quality competitors. 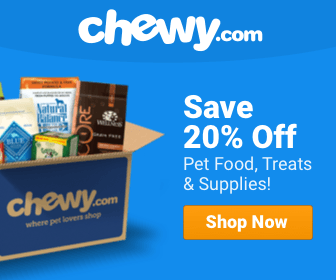 With these choices of the best inexpensive dog food, you won’t have to worry about staying in your budget while also providing quality food for your dog. As a pet owner, it's your responsibility to provide the absolute best for your dog. 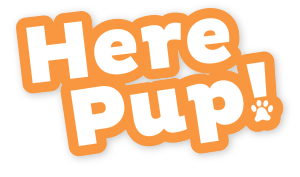 Best Dog Food For Puppies – Top Picks and Comparisons!